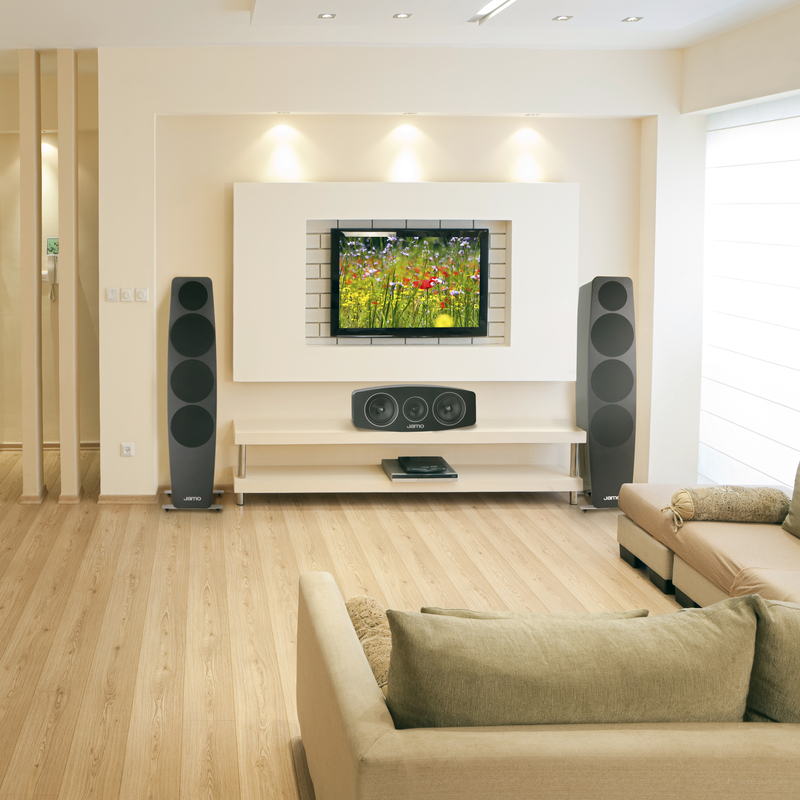 JAMO speakers are ideal for the spaces where we live and play. From thundering home cinema to powerful and beautifully integrated architectural solutions. Designer in-ceiling and in-wall speakers blend seamlessly into home and decor without taking up any living space. Their unbelievable sound features the latest Jamo audio technology. The speaker grilles are paintable to color-match your décor. Want to make a statement? Simply remove the grilles. The new Jamo Studio 8 series of speakers has been completely reimagined to live seamlessly in modern, premium environments. Contemporary material and finish choices accentuate the clean, minimalist lines of this European design, while the compact cabinets are an ideal solution for urban living environments around the world. Choose from three different finishes: White, Walnut, and Ebony. Jamo outdoor speakers feature voicing that is representative of Jamo home theater solutions. These speakers and subwoofers deliver an enveloping experience while virtually disappearing into the outside of the home or landscape.